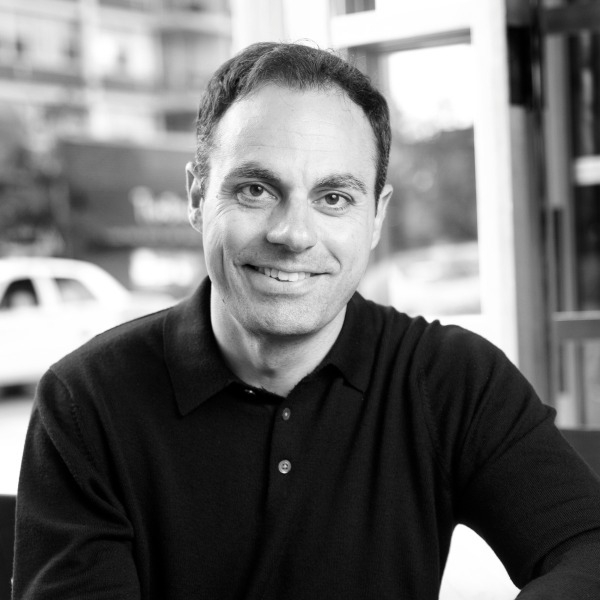 Andrew Razeghi is a writer, educator, and adviser to organizations on growth strategy, creativity, and innovation. As founder of StrategyLab, Inc., his work spans industries, from consumer packaged goods to healthcare, tourism to media, and non-profit organizations to professional sports teams. A few of his clients include Aurora Healthcare, Brinker International, Darden Restaurants, GE, GlaxoSmithKline, the Houston Texans, Motorola, Novartis, Switzerland Tourism, and World Kitchen. Moreover, Andrew speaks to thousands of people each year at trade association and organization events on topics related to creativity and innovation. Andrew has appeared in a number of media outlets including ABC-TV, Air America, The Chicago Sun-Times, China Daily, El Norte (Mexico), FAST COMPANY, NPR, The San Francisco Chronicle, and The San Jose Mercury News. Prior to joining Kellogg, Andrew taught the capstone MBA course on strategy and organization at The Graduate School of Business at Loyola University Chicago. Shortly after the fall of communism in Central Europe, he was invited to be among the first American professors to teach free market economics at The Prague University of Economics in Prague, The Czech Republic. In addition to his work as an educator and adviser, Andrew is a review panelist for The Wright Centers of Innovation at The National Academies of Science in Washington, D.C.; a Thought Leader with Knowledge Dialogue; and an Advisory Board Member of Americans for Informed Democracy (AID) – a non-partisan 501(c)(3) organization working to raise global awareness on more than 500 university campuses and in more than 10 countries. Andrew is the best-selling author of the leadership book HOPE: HOW TRIUMPHANT LEADERS CREATE THE FUTURE (2006, Jossey-Bass/Wiley) praised by leaders in many fields including cancer survivor and Tour de France Champion Lance Armstrong, Kinko's Founder Paul Orfalea, and best-selling authors Dr. Ken Blanchard and Dr. Jim Belasco who calls HOPE "the trailblazing management book of our time!" HOPE has also been translated into Mandarin Chinese and Korean and has been on CEO READ's best-seller list since its launch. Andrew's newest book on innovation is entitled THE RIDDLE: WHERE IDEAS COME FROM AND HOW TO HAVE BETTER ONES (February 2008, Jossey-Bass/Wiley). In THE RIDDLE, professor Razeghi explains how the common pre-cursors to “Eureka moments” can be replicated in order to help people learn to become more innovative. FAST COMPANY magazine has selected THE RIDDLE as one of its "smart books" for 2008. www.strategylab.com. Have you ever had a problem you couldn't figure out no matter how hard you tried? Someone likely advised you to "Take a break. Don't think so hard." And so you did. And then, on waking up, while in the shower, or while stuck in traffic, it happened. "Aha!" you said. "I've got it! I've figured it out!" Just when you least expected it, you became suddenly creative – an instant innovator was born! In this fascinating keynote presentation, best-selling author and Kellogg School of Management professor Andrew Razeghi will share research from his book entitled THE RIDDLE whereby he takes readers on a journey into the precise moment of creative insight known famously as the Eureka moment. Professor Razeghi will explain why it happens, when it happens, and - most importantly - what you can do to make it happen more often. As it turns out, thinking differently may be oversold. If you want to learn to be more innovative, you won't want to miss this talk! 3) learn how to improve your creativity by practicing common pre-cursors to Eureka! - Chuck Templeton, Founder, OpenTable, Inc. Whether businesses face uncertainty or meet the challenge of the constant pressure to innovate, leaders must dig deep to keep their focus and stay effective. In his best-selling book and keynote presentation, Kellogg School of Management professor Andrew Razeghi isolates the critical factor that is a core element of successful leadership in any climate. This book sheds new light on an ancient virtue by exploring why some leaders succeed while others fail. Using research from neuroscience and behavioral psychology along with real world stories of leaders across disciplines, Razeghi illustrates the role of belief systems as leadership tools. This keynote presentation is rich in inspiring stories from business, politics, science, sports, art, religion, exploration, and philanthropy. Professor Razeghi also presents a wealth of thoughtful questions to ponder to help you learn to turn your beliefs into actionable and tangible tools. 3) learn how to create a belief system that will improve your capacity to create, make decisions, and solve problems. "This book has guts. In Hope, Andrew Razeghi courageously dives head first into an unexplored virtue that quietly makes successful people tick." - Paul Orfalea, Kinko's founder and author of Copy This! “Andrew Razeghi has done a fantastic job of using a wide variety of real life success stories to illustrate the power of hope. Hope offers an inspiring read to all.